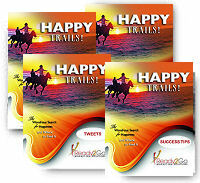 Audio Training Program: Happy Trails - The Wondrous Search for Happiness and Where to Find It from Ready2Go Marketing Solutions, Inc.
Every day you have a choice. You can drag yourself out of bed, trudge through the day, and manage your obligations, or you can greet the day with a full heart, tackling the biggest problems with confidence, and expecting new adventures and opportunities. Choosing to be happy makes your best life possible while removing the obstacles that hold you back. Defining and finding happiness is one of the most important ways to energize your journey, awaken the genius inside you, and activate the dreams you've likely given up on. Unhappiness will stop your dreams dead in their tracks. Happiness fuels your entire life…and makes it a lot more fun. In this audio series, your clients will discover the source of the motivation that seems to come so easy to others, and their eyes will open to a world of fresh, new possibilities. And they'll be thanking you for this great information that transformed their lives! The audios are 4-6 minutes long and filled with ideas that will help your clients quickly define what happiness means to them and how to incorporate it into their daily life, so they can put some spice into their days, find the adventures that await them, and greet each day with positive anticipation. Audio #1 – What is Happiness Anyway? Audio Training programs are a powerful tool for keeping in touch with your clients and prospects, and delivering great value. 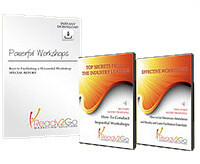 Order the Happy Trails - The Wondrous Search for Happiness and Where to Find It audio training program today.